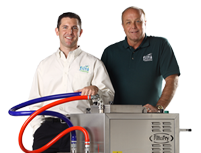 Filta Environmental Kitchen Solutions has announced that it will attend and sponsor the coming 2014 Green Sports Alliance Summit from July 21-23 in Santa Clara, CA. The Green Sports Alliance serves as a platform for the professional and collegiate sports community to unite around sustainability. The 2013 summit covers a dynamic mix of venue tours, workshops, case study presentations, leadership plenaries and keynotes. Built on the 2014 theme Winning Today, Playing for Tomorrow: Creating a Legacy Through Sustainability, the conference program will explore topics including existing building renovations, composting programs, onsite energy generation, creating community legacies, marketing and sponsorship, athlete engagement, sustainability reporting and much more. Sports and sustainability leaders will drive the conversations as they explore better environmental practices and proven solutions that will continue to advance the green sports movement. Held in the tech capital of the world amongst many iconic professional and collegiate sports teams, the 2104 Summit is expected to bring together more than 600 representatives from leagues, sports venues, teams, and contract caterers.